House painting in Mesa AZ can be an exciting endeavor! When you’re looking to add value to your home, you can do it in a stylish yet classy way! Whether the outside appearance is your main focus or you’re trying to customize the rooms on the inside, you’ve got a crew that can do it for you! The decision to paint your home doesn't have to be a hard one. You simply need a reliable, informative, and hard working team to help make it easier for you! Mesa Painting professionals know the products, we know the industry, and we know what it takes to make a house feel like a home again. Sometimes you just want something different. You may not be pleased with the current state of your home but you may not have tens of thousands of dollars to do a full renovation either. House painting is a great way to start! You get a fresh new look and sometimes that can make you feel like you're in a fresh new home! We are the ones to call for house painting in mesa, AZ. For many years, we’ve been able to provide customers with an unmatched level of satisfaction. Anybody can paint a home, but the overall experience is what makes it worthwhile. From the moment you call us out for a free quote, until we are leaving you to dwell in your freshly painted home, we can guarantee that we won't disappoint you. Choose one color for the entire inside of the home and one color for the outside to keep it simple. Or you can jazz it up with multiple colors through the house, giving each room its signature appearance. Mesa painting pros aims to be the best of all of the house painting companies in mesa,Az and one of the ways we’ve stayed in the game is through the variety of choices that we offer. Let us know the purpose of each room in your home and we can make sure the paint reflects that. We can do plain and monotonous for a soft and calming effect, or we can create patterns for a more stimulating feel. Any way you want it, we can do it! The customer is always right and we make sure that your home is pleasing in your sight! 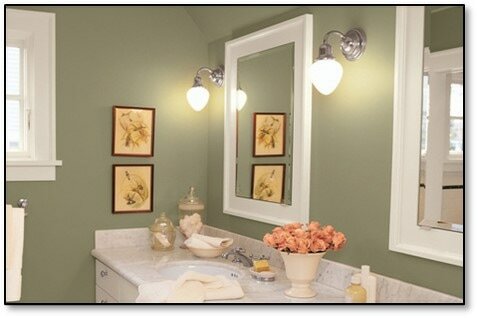 House painting can be a simple or as complex as you want it to be. More often than not, when people think of house painting, they think interior, they think walls. We offer exterior painting as well as interior and don't fret! We aren't at all limited to just painting the walls! We can do ceilings, baseboards, doors, door frames, if you can think it, we can paint it (but try controlling your thoughts, let's not get too outrageous!)! Imagine working with one of the best companies for house painting. Let's say you are having a dream. You dream that you are trapped in a house full of white walls and you are desperately trying to escape. A little birdie comes and whispers to you and says “call Mesa Painting Pros. They can get you out of this trap.” So you walk down your white hallways into your white kitchen and pick up the phone. We come out for a free estimate, we schedule a date to start, we prep, we paint, we perfect the once white house and make it so colorfully lovely that the trap has now become a sanctuary. Now, the beginning of the story was all make believe, but the end of the story can be a reality. Your reality. Call us today!